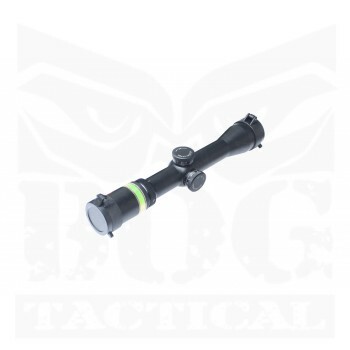 Black Owl Gear Tactical™ 1-5-6X24 Optic Fibre (Green) is a professional illuminated rifle scope system for quick target acquisition. It features in variable zoom option and adjustable telescopic capabilities for a dynamic shooting experience. The sight is powered by environmetnal luminance and required no battery to light up the reticle. Without an electrical illuminator, optic fiber scope provides enhanced longevity and reduces the risk of component failure. Black Owl Gear Tactical™ 2.5-12.5X40 Optic Fibre (Green) is a professional illuminated rifle scope system for quick target acquisition in both mid-range and long-range. It features in variable zoom option and adjustable telescopic capabilities for a dynamic shooting experience. The sight makes use of optic fiber to power up the scope. It absorbs natural light from environment to transfer back to the reticle. Without an electrical illuminator, optic fiber scope provides enhanced longevity and reduces the risk of component failure. 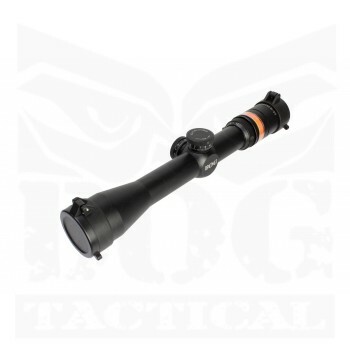 Black Owl Gear Tactical™ 2.5-12.5X40 Optic Fibre (Red) is a professional illuminated rifle scope system for quick target acquisition in both mid-range and long-range. It features in variable zoom option and adjustable telescopic capabilities for a dynamic shooting experience. The sight makes use of optic fiber to power up the scope. 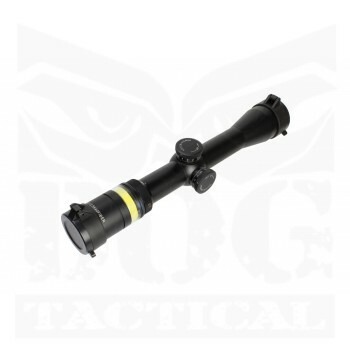 It absorbs natural light from environment to transfer back to the reticle. Without an electrical illuminator, optic fiber scope provides enhanced longevity and reduces the risk of component failure. 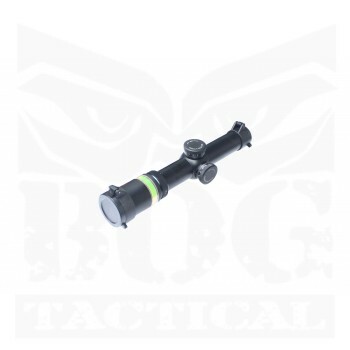 Black Owl Gear Tactical™ 2x28 Optic Fibre (Green) is a illuminated scope system for quick target acquisition for short-range. It features adjustable telescopic capabilities for a dynamic shooting experience. The sight makes use of optic fiber to power up the scope. It absorbs natural light from environment to transfer back to the reticle. Without an electrical illuminator, optic fiber scope provides enhanced longevity and reduces the risk of component failure. Black Owl Gear Tactical™ 2x28 Optic Fibre (Red) is a illuminated scope system for quick target acquisition for short-range. It features adjustable telescopic capabilities for a dynamic shooting experience. The sight makes use of optic fiber to power up the scope. 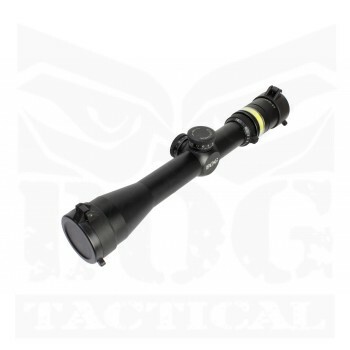 It absorbs natural light from environment to transfer back to the reticle. Without an electrical illuminator, optic fiber scope provides enhanced longevity and reduces the risk of component failure. Black Owl Gear Tactical™ 3-9X40 Optic Fibre (Green) is a professional illuminated rifle scope system for quick target acquisition in both short-range and mid-range. It features in variable zoom option and adjustable telescopic capabilities for a dynamic shooting expereicne. The sight required no battery to light up the reticle. It is powered by optic fiber with using the natural light from surrounding. Without an electical illuminator, optic fiber scope provides enhanced longevity and reduces the risk of component failure. Black Owl Gear Tactical™ 3-9-24 Optic Fibre (Red) is a professional illuminated rifle scope system for quick target acquisition in both short-range and mid-range. It features in variable zoom option and adjustable telescopic capabilities for a dynamic shooting expereicne. The sight required no battery to light up the reticle. It is powered by optic fiber with using the natural light from surrounding. Without an electical illuminator, optic fiber scope provides enhanced longevity and reduces the risk of component failure.